This week, as Lighthouse Labs announces our newest Bootcamp site in Ottawa, I’m reflecting on the steps that have led us to expand our presence in the capital city. The tech heavyweights who have historically put Ottawa on the map, and the burgeoning startup culture that’s keeping the city on the watch list of tech growth hubs. With the shifting tech landscape in Ottawa, this move felt like a natural progression, and the right time for us to bring our unique bootcamp model to join the diverse tech culture in our nation’s capital. When Shopify landed in Ottawa in 2004, it gave way to the Shopify Effect, sparking a tech renaissance in the city. As Nortel fizzled, other companies like Survey Monkey and Klipfolio sprang up, attracting tech talent from across the province. Over time, Kanata North Technology Park grew into one of the largest tech hubs in North America, second only to Silicon Valley. As these tech giants have hit their stride, however, Ottawa’s Big Tech have become more than just an anchor, and more of a catalyst for the next wave of tech innovation. The heavy-hitting giants have long been the place to go if you wanted a tech job in Ottawa, but as the market has matured, it’s giving way to an entrepreneurial spirit driving new development in the space. Now Ottawa is the hub for tech visionaries. Drawn together by the giants, these adventurers are moving on to their next challenge, striking out on their own with new business models and bold game plans. It’s the place for startup incubators and accelerators. Start-ups like Fellow.app are changing the way managers interact with their teams, while bigger investment dollars are starting to funnel into the city through companies like Klipfolio and Assent Compliance. OneEleven, Invest Ottawa, and LSpark are lending organizational support as accelerators offering startups the space and services to scale up, while their spaces across Ottawa and Kanata North have built a bridge to connect the city’s geographically distributed tech communities and helped morph Ottawa into a bustling tech startup space. As with any growing tech space, there’s a growing need for additional developer talent. As Lighthouse Labs has expanded across the country, we’ve always been mindful of the importance of supporting the tech industry in the right moment. Lighthouse Labs grads across the country have risen to meet that challenge, going on to join innovative teams. Our grads have joined Perficient in Toronto and Satel Creative in Vancouver, while our grads in Victoria have joined MetaLab and Change.org. 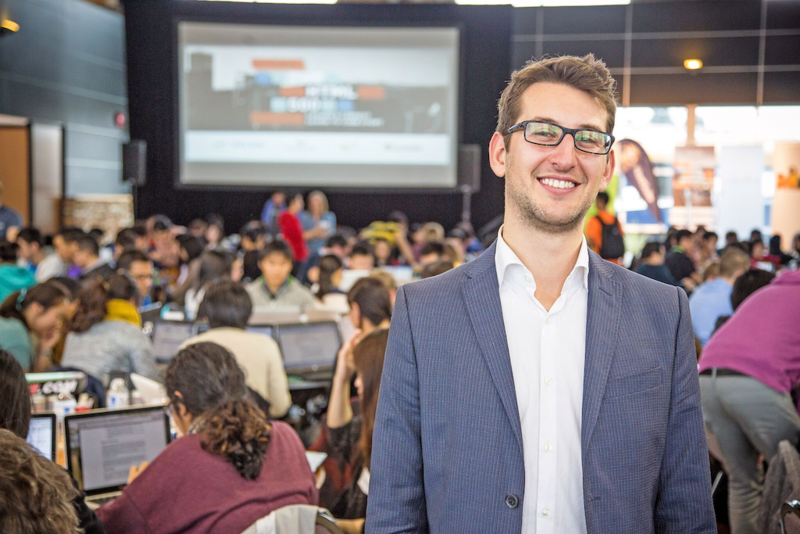 In Ottawa, our alumni have gone on to work at Shopify and the University of Ottawa. They’re behind the scenes at start-ups around the city like Three Kit, Terabit, and Softchoice. Some of our grads are Ottawa natives who have travelled to other Lighthouse Labs sites for bootcamp and brought their skills back home; others are bootcamp grads from other cities making the migration to Ottawa. In either case, it’s clear there’s a role for us to play in the city, a demand for Lighthouse Labs talent. With a year of successful part-time programs under our belt, and our grads moving to Ottawa to fill the tech talent gap, the time was right for us to bring our bootcamp experience to the city. When our Ottawa bootcamp officially launches in July, we’ll be excited to kick off our next chapter in helping Canadian career-changers find their niche in a growing tech industry. To do so in the nation’s capital, just feels like we’re coming full circle.